In the world of wildlife filmmaking, a Wildscreen Panda Award nomination is a big honour. Dubbed the 'Green Oscars', the highly competitive awards celebrate the very best in natural history filmmaking ... which is why we're very excited that our Smithsonian co-produced film Great White Code Red has been nominated in the 'Films@59' sound award category! Hundreds of films from around the globe are entered into the awards each year, and receiving a Panda is one of the highest accolades natural history filmmakers can hope for. An autopsy reveals the secrets behind a great white's sensory abilities. Great White Code Red takes an in-depth look at the hunting behaviour of great white sharks off the South African coast. 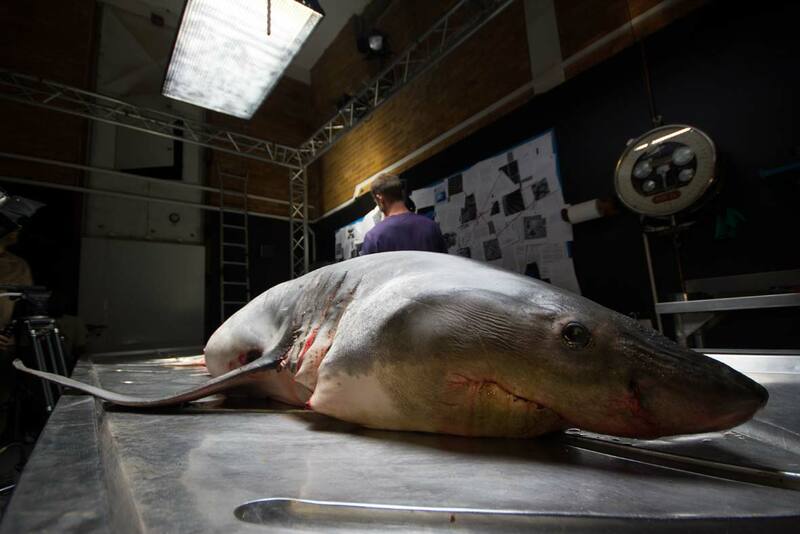 Marine biologists Craig O'Connell and Geremy Cliff get under the shark's skin with a detailed autopsy, uncovering clues that explain how this awesome predator hunts its prey. They unveil six incredible senses that make up the great white's hunting arsenal and show how this much-feared shark is not a cold-blooded killer, but an evolutionary marvel. Great White Code Red - Trailer from Earth Touch on Vimeo. Crack open the champagne ... Earth Touch News Network is delighted to have nabbed two silver accolades in the W³ Awards.